Pet shop life isn't good. I went to the local garden centre last week. They used to sell loads of animals - rats, mice, rabbits, guinea pigs, fish of all kinds ... I couldn't see any! Don't know if they've all gone or if they were well hidden. Will go for a better look when I have more time. 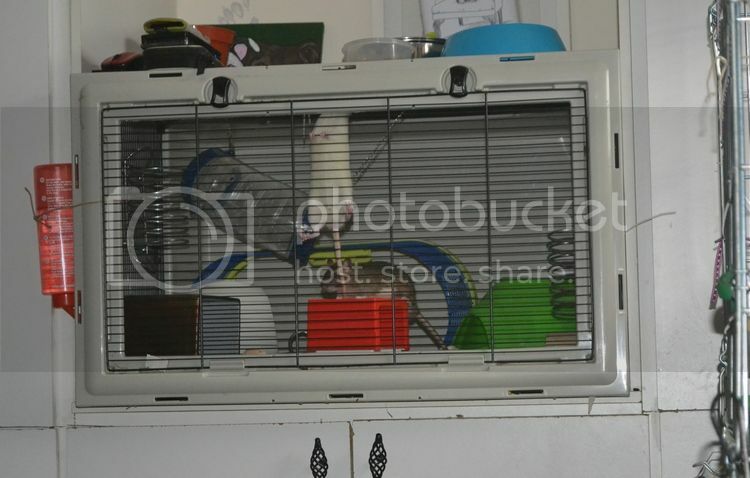 Yes, I strongly dislike the way most pet shops are run. 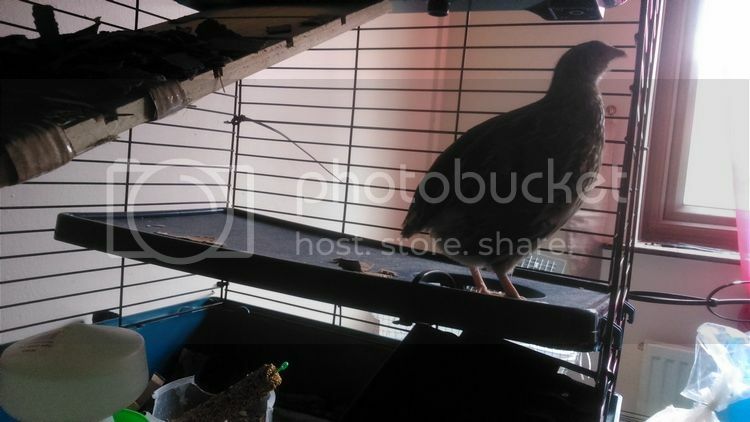 There's a fairly good one nearby, but they've had mice with URI's in a few times now and all their bird & rodent cages are tiiiiny The animals do get lots of treats / chew toys and a LOT of handling though, which I really appreciate. It's the best in our area. Do you have a Pets At Home nearby Kate? P@H seems to be stealing a lot of business, both in terms of selling pet products and pets themselves...just wondering if that's happened. It's really sad because P@H really is one of the worst chains, for their animal welfare / breeding policies and their morals - plus everything they sell is ridiculously expensive! Yes but it's not near that garden centre. The glass fronted cases in P@H are tiny-I rarely go in there out of principle. Would rather order from Zooplus. Some of the Cat Protection volunteers spent a day there trying to fundraise but it was a disaster. The manager wouldn't let them sell a lot of their usual items (competition), they couldn't rattle collecting tins, and raised hardly anything because of his attitude. There is a P@H that has some Cat Protection Rehoming pens, but thankfully they're run by CP staff to CP rules. I just wondered, I know a lot of pet shops have suffered when the first P@H opened in this area not too long ago. 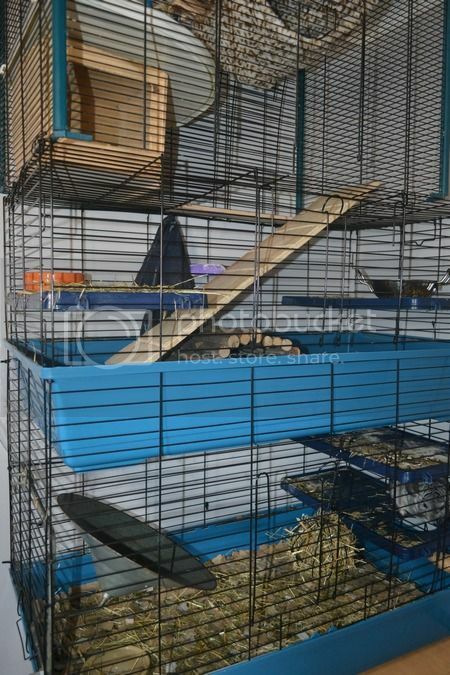 Yes, I don't like the cages at all, and the animals never seem to have toys or things they are supposed to have - I've seen looaads of reports about degus not having hay or wheels, which they *need*. We know someone who works at P@H and the things that seem normal for the job to him are scary - he was talking to us about 'the Syrian hamster scream' and it's like...well we've never ever heard one scream because they only do that when they fear for their lives!! Posted By: Kateb Some of the Cat Protection volunteers spent a day there trying to fundraise but it was a disaster. The manager wouldn't let them sell a lot of their usual items (competition), they couldn't rattle collecting tins, and raised hardly anything because of his attitude. Woah. I'm not surprised but that is very sad, that they wouldn't do anything they could to help a charity. I was really impressed at first when they had adoption sections in store, but I've since come to believe that the vast, vast majority of pets in the adoption section are just ones that haven't sold in store...I know they are honest about this (90% of the pets for adoption tend to be 'we have been in store too long') but I saw a staff member moving a pet from the main section into the adoption section, then telling a family not half an hour later that the animal had been abandoned outside the store!! I did some clicker training with the feathery girls yesterday! I don't have any video footage because Lyle had his phone and my camera is dead, but I did take some photos of the results afterwards and a video then. Basically, although Kale would use the ramp, she was looking up at it and wanted to go up much more than she was doing. So I added a few smaller ramps (balanced precariously!) and began clicking training her to increase her confidence. I click & treated her every time she stood, walked or hopped off the ramps...by the end she was climbing up them herself and even made it onto the level neither of them had been on yet! The funniest thing is that, since training Kale, she will stand on the ramps and watch everything that goes on!! Me and Lyle started laughing at something the other day, and we heard a mad scrabble and Kale appeared to watch what we were doing! Thats really good Red Quorn might follow Kale eventually through watching what she is doing. I hope so. She was bathing in the cardboard strips this morning whilst I banged my head against the wall muttering "the dust bath is upstairs, where you were yesterday!!" 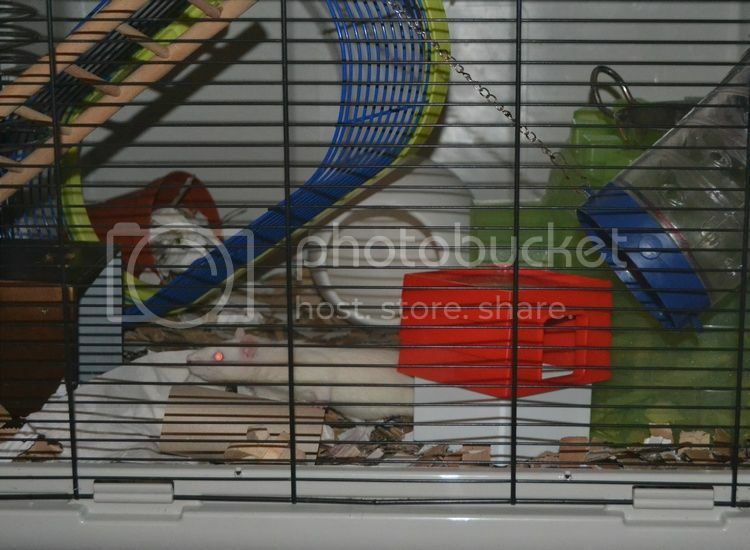 Eight days ago we welcomed two baby rats into our home; these will be my biggest taming challenge to date, easily. These boys make Archie look like he came from a reputable breeder who spent weeks handling him!!! 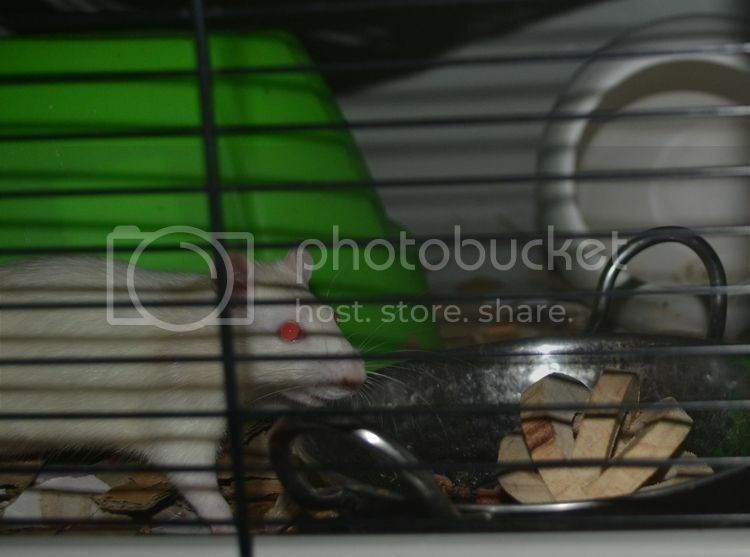 They are two male rats; age unknown but when we got them they were tiny - smaller than a Syrian hamster (about the size my breeder boys were at 6 weeks old). In the eight days we have had them they have grown like weeds...here's a photo from their 2nd day home! The rats came to us from someone we know. 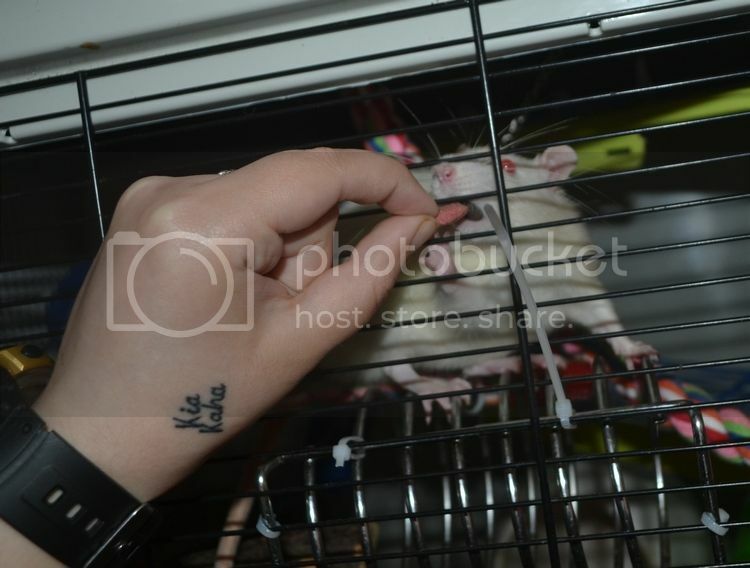 She bought the rats from Pets At Home; she had them for several weeks (they must have been SO SMALL! ), they were absolutely petrified and they bit her (hard) half a dozen times. When we picked the rats up she was covered in very nasty bites! Originally we had the rats in the Thickets cage (I had to lower the water bottle several rungs, I'd automatically hung it too high!) but it's...just crap, and they really didn't appreciate all the open space and size. 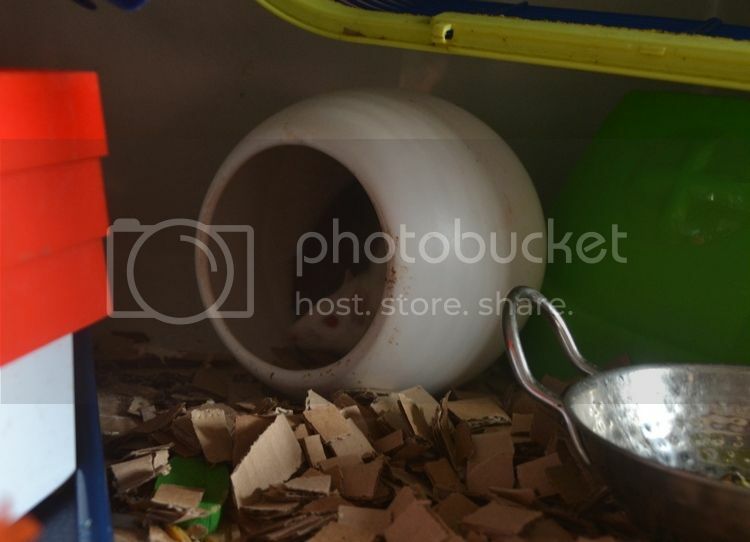 We packed it out with all sorts, just old boxes and bowls, so that the cage was really full...but they just hated it. 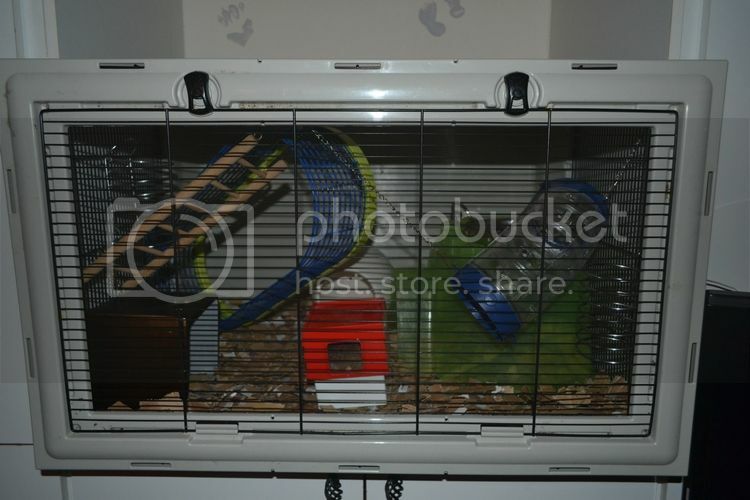 They were previously in a hamster cage (sold by P@H) so a few days ago I moved the boys into a much, much smaller cage - it's actually a (too small) 'rat' cage tipped on its side. Because of that the entire front (which would be the roof) opens up. This makes access much better! The idea with this cage was that the smaller space would mean when they bolted from a 'scary' side to a safe side, it would be easier for them and, as their confidence increases, they might choose to bolt into a hide rather than across the cage. 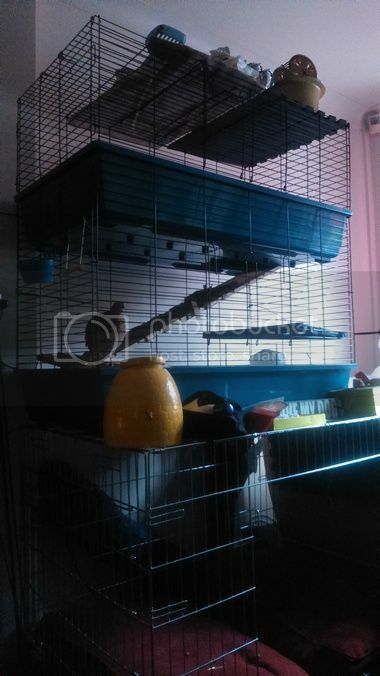 The cage is also surrounded on three sides, which should make the world a lot less scary and more predictable for the boys. 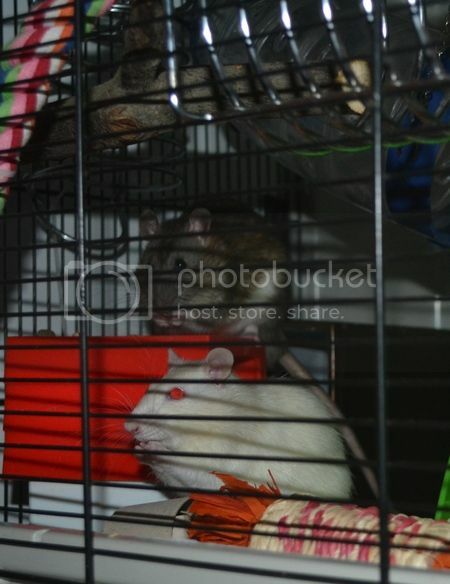 I cannot describe how fearful these rats are, Jeffrey especially. Compared to Jeffrey you would call Donnie confident! They completely lose their heads, usually over something undetectable. Most scared rodents will run for cover - these two just bolt. Since moving into a smaller cage they have improved - I have to watch them so closely to make sure I notice these improvements! I am very aware I will never get these boys to the point where they can be handled...they are just a) too terrified, of everything, and b) too fast - unless they were totally confident, if they bolted, I would never get them back. I want to get them to the point where they are happy and confident. Where they don't flee, and spend all their time scared. 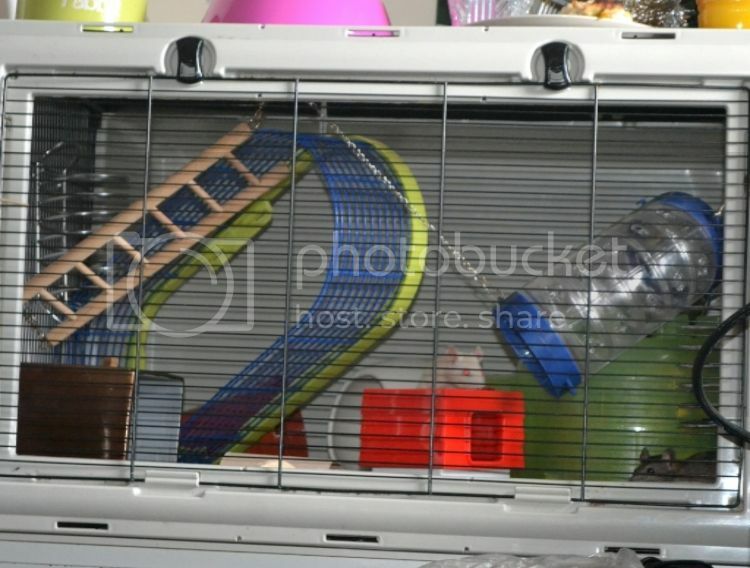 It would be great if they could live in a large cage and actually enjoy the space. If I can get them to the point where they approach me and take treats from my hands I will be so happy! These are the best pics I could get of Jeffrey - see him letting his brother take centre stage?! And a video, which really highlights how scared Jeffrey is...oh also, they never eat in the open - in fact I've never seen Jeffrey get food out the bowl. Donnie goes up and brings the food back to their main hide, deposits it there, and then goes and gets more - he clears out two food bowls this way, and that is how Jeffrey eats! 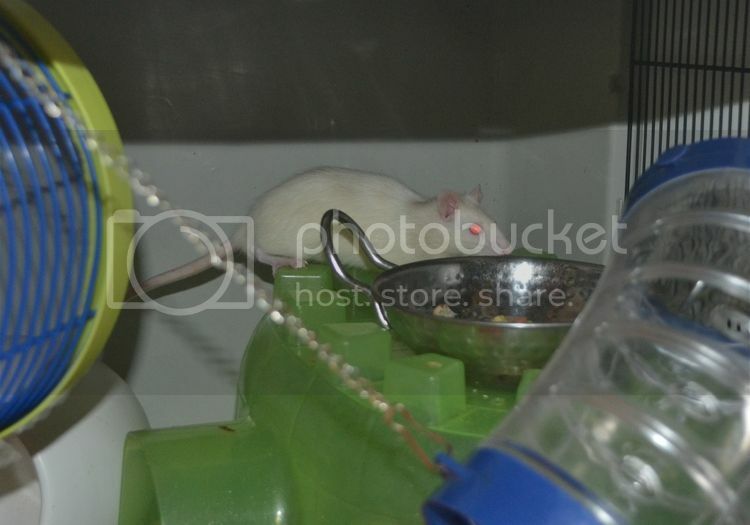 First off, Archie is an adult rat who has always lived alone, and I don't think intro's would go very well. But secondly it would be a terrible idea to introduce two terrified young rats to an adult rat that is also scared of the world - they would just make each other far worse, as the brothers already do to each other. Although Archie is far better than he used to be, I have to constantly keep in mind that he is fearful...I make no loud noises around him, I don't have electronics around him (noises freak him out), I use the same lamp because bright light scares him and I let him initiate everything. I really don't handle him - it's HIS choice. If he wants to climb on me so be it, but always at the front of my mind is the aim to never ever scare him. 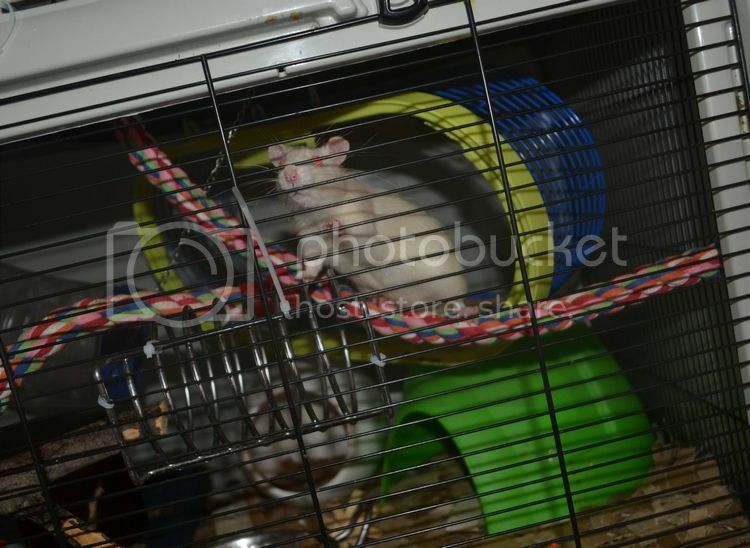 Adding Archie to two young rats who freak out over everything would not be a wise move and, so long as he's happy, so am I.
I'm thinking it's pretty much impossible I will ever get these boys to the stage where I can handle them. It would probably have been easier if Donnie was on his own (or even Jeffrey), but as it is they just feed each other's fears. 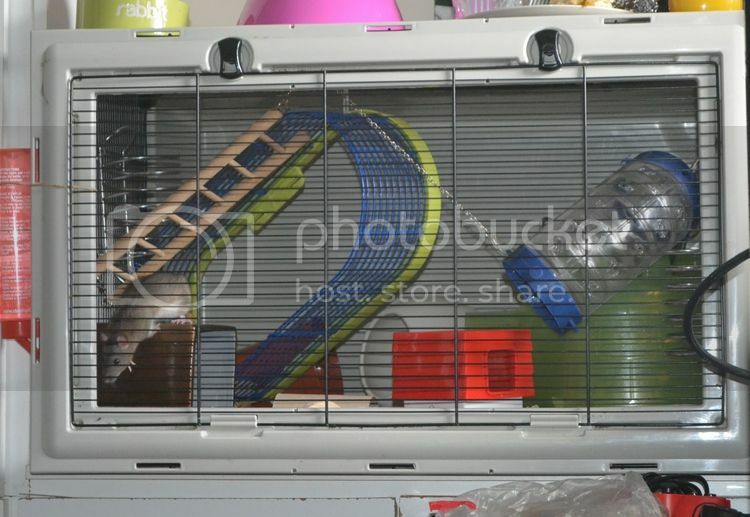 The sooner I can get them in a large cage the better, because something tells me they won't be coming out to play haha! They'll be in the smaller cage for a good month or two I'd imagine though, as Jeffrey especially shows no signs of calming anytime soon. I haven't needed to wear gloves at all yet. 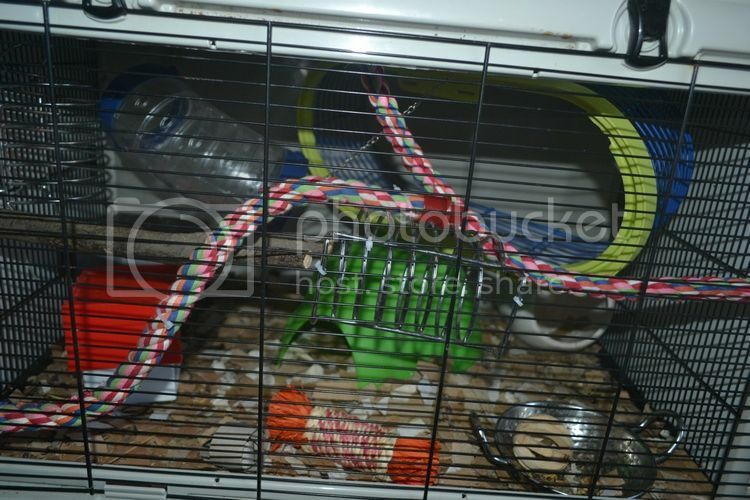 Even when I carried them across to the new cage I didn't wear gloves - they were both asleep in the red plastic kennel and I just covered the larger entrance with my sleeve and moved them, they didn't even wake up! When I open the cage door they are nowhere to be seen, so at least while they are still so afraid gloves aren't needed. 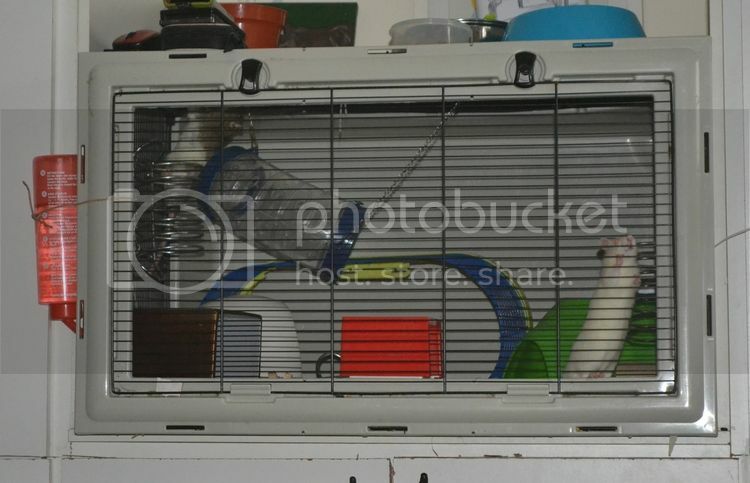 I haven't been aggressively bitten by a rodent since I was about 15 - that's when I had two male rats who were terrified their entire life, and every time I cleaned out the cage they would bite me, nice and hard - every single time I cleaned their cage I was bitten to some extent. I dreaded it. 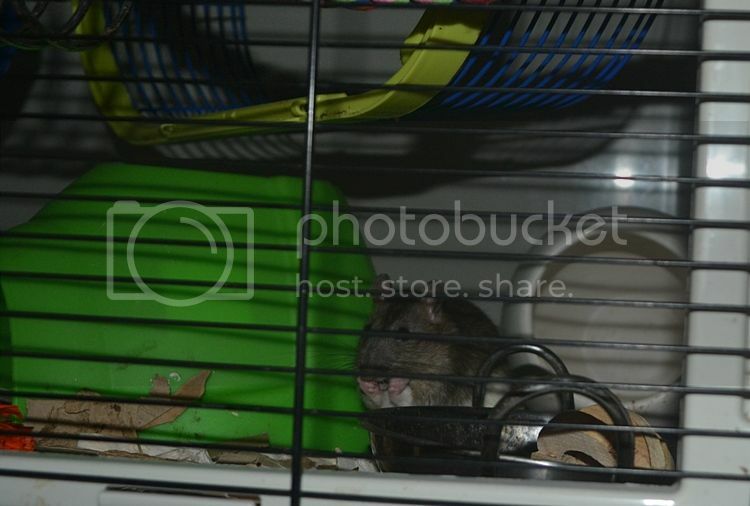 Since then I have learnt a lot more about handling and dealing with rodents, and even though we've had many fearful rodents I haven't been bitten outside of an "are you food?" 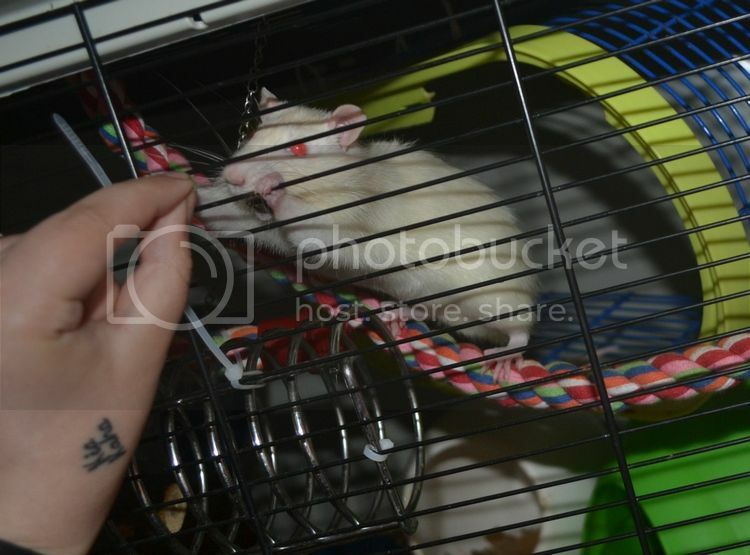 nibble...here's hoping that continues with these boys, because rat bites HURT!!! Well if anyone can sort the poor things out, you can Red. Thank God they came to you. How old were they when P@H sold them, do you think? CC I really don't know how old they were...but considering their previous owner had them for a few weeks before they came to us, they must have been very young indeed. I'm 99% certain they were separated from their mum too young. I've started associating my voice with feeding time - I talk to them just before and as I fill their bowls. Today Donnie started peeking his head out the hide as I was in the cage filling bowls...pretty good considering yesterday was the first time I've seen him up close! 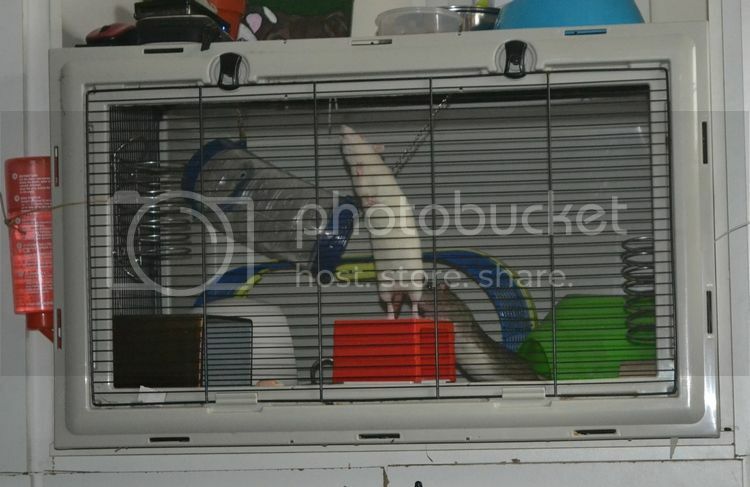 More slight progress with the rattie boys - Jeffrey is up and about quite a lot now, we see him a fair bit and even when we talk he no longer bolts. He is still incredibly fearful. Donnie is doing better; he's out most and bolts less. Yesterday he thought about taking a treat from my hand - there was a 30 second period where I really thought he was going to. He knew I was there, he didn't retreat, and he even moved and sniffed right on the treat...but then the interaction lasted too long, he got scared and bolted...they're so quick and the speed comes from nowhere, so it always makes you jump! I'll learn my lesson - next time if he hasn't taken it I'll drop it in front of him and retreat. The rats are progressing well...tiny, tiny baby steps, but progress nonetheless. Donnie is at the point now where when I approach the cage and talk, he knows that means it's feeding time, so he sneaks out the igloo to the back where he can keep an eye on me. I feel great that, although he's too scared to come out into the open, my arrival makes him excited and he knows I bring good things! Slow progress is still progress! 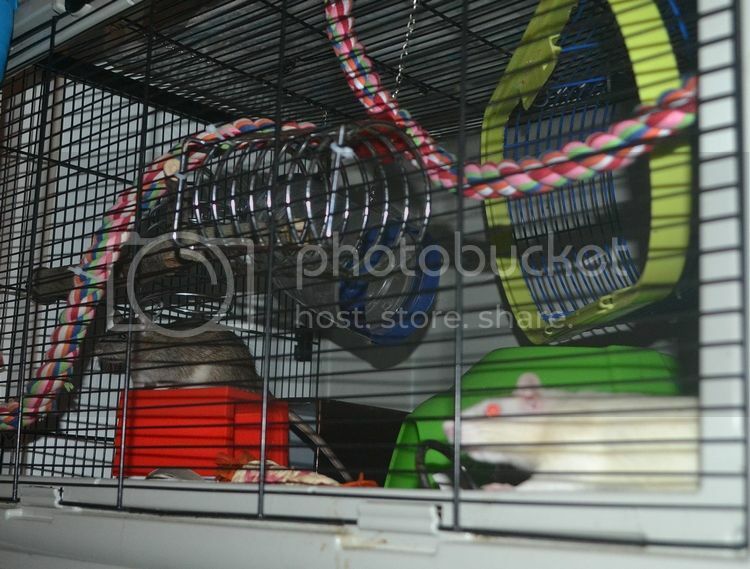 Rats are very sensitive so I'm sure they are in a good place with you as you will bring them security and calmness. Great news! 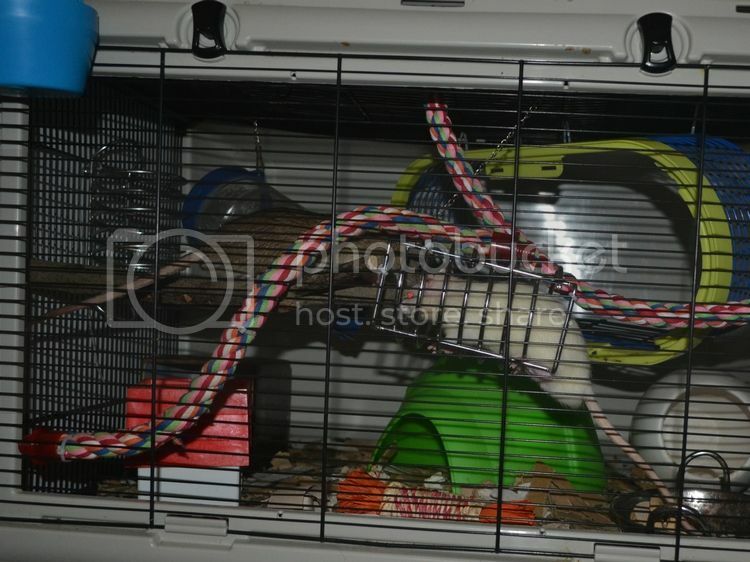 The rats have come on leaps and bounds these past few days...I have a video to post to show how confident they are, but for now I'll just say that they both came and got food whilst the cage door was open and I was talking to them - this has NEVER happened before!! Donnie gets closer every time to taking a treat from my fingers...he sniffs all over, pauses and is so close to taking it, but then rushes back to safety. Neither of them have any issues exploring, eating or drinking whilst the TV is on or we're talking. There aren't many noises that send them running anymore, unless somebody is close to their cage. They both have more growing to do, even if they stay small they should grow some more...they're about small adult female rat size right now. 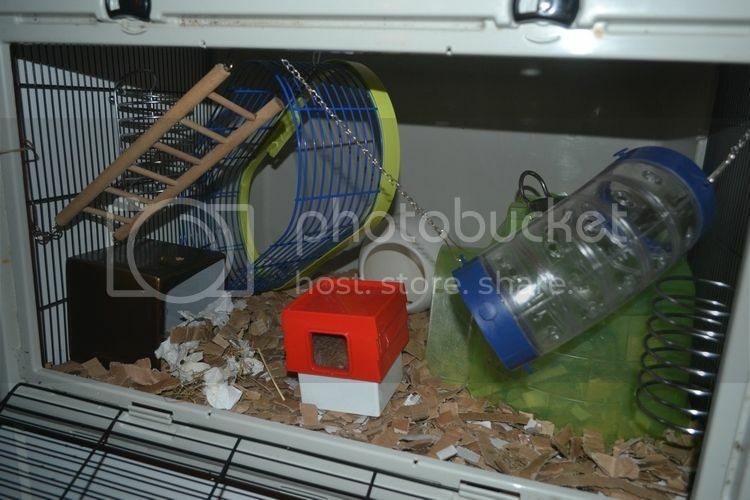 They're cage needs cleaning, which is always traumatic and I'm not really sure how to manage it...I did a partial clean out about half a week ago, and it wasn't too bad, but I need to get all the nooks and crannies this time...hmmm. 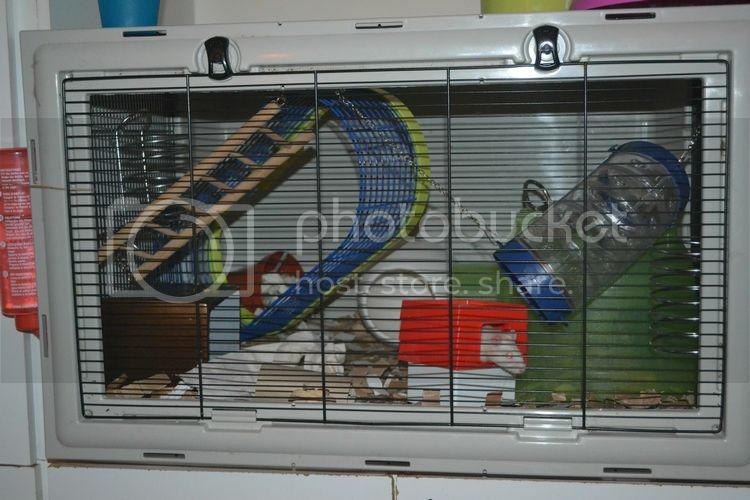 Patrick and in particular Molly were both quite nervous but I was fortunate that I had a big cage with a 'middle' which meant I could clean it in halves. Not sure what you can do unless you have a carrier you can get them into? They wouldn't need to be in it long and I know you don't want to give them additional stress, but sometimes it's short pain for long-term gain. 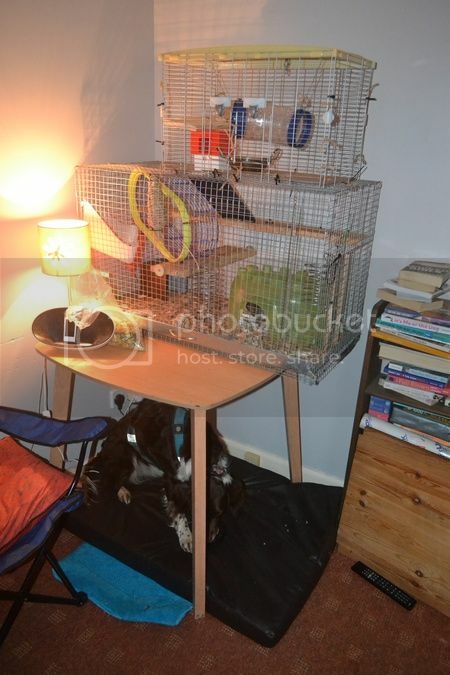 Otherwise, can you block the cage off to do one side and then the other? Kate they actually weren't bad at all - they stayed in their house, they weren't happy but were far from terrified, and at the end as I was filling their bowls Donnie actually came out to investigate! 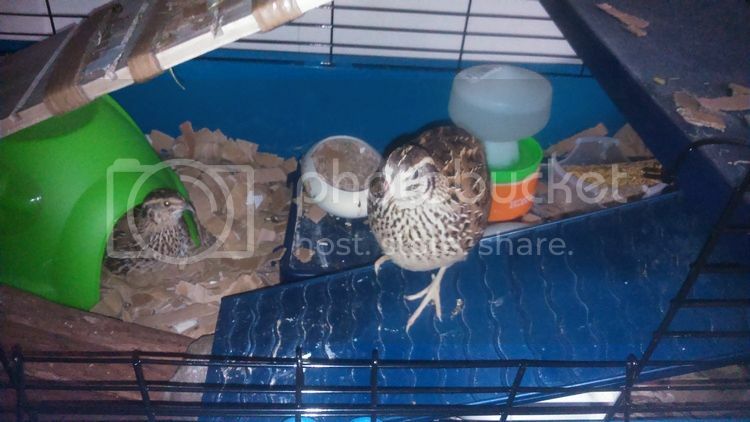 I cleaned and wiped down everywhere but their nest, and hopefully for next clean out they'll have a loft extension I can shoo them in while I empty the nest. Their confidence is obviously growing - well done!! 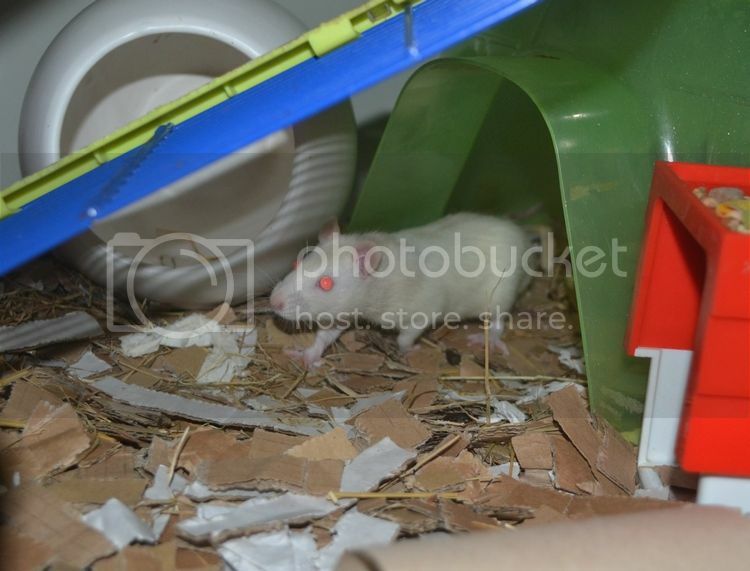 Rats are quite curious and if they feel safe they will start to investigate more. Keep up the good work!!! It's fascinating to watch them growing in confidence, isn't it? You're doing such a fantastic job with them, Red. 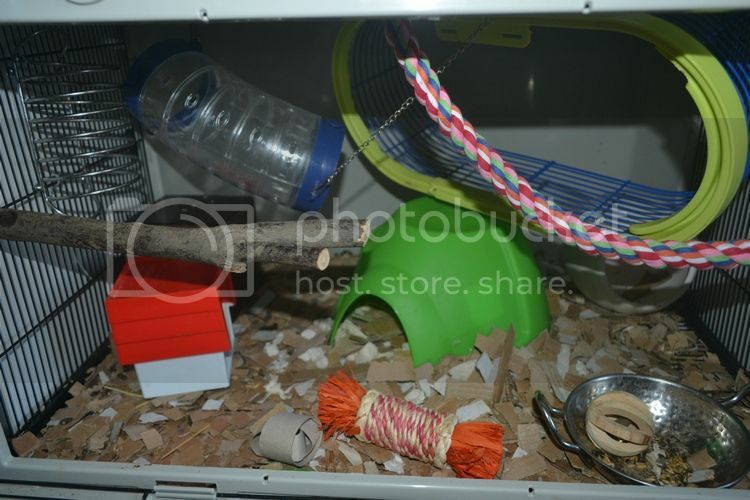 Updated their cage recently...now they're doing better I have less fear of getting bitten, so swapped their toys about and added some new ones. 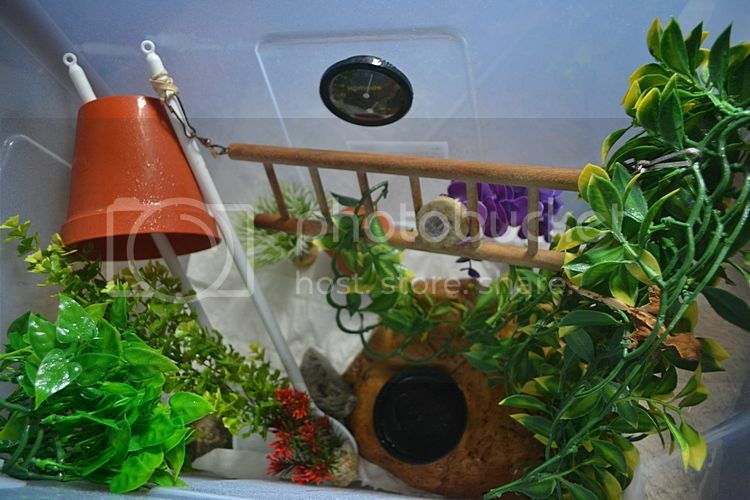 Even though the cage is small it's looking really good now and they seem very happy in there. 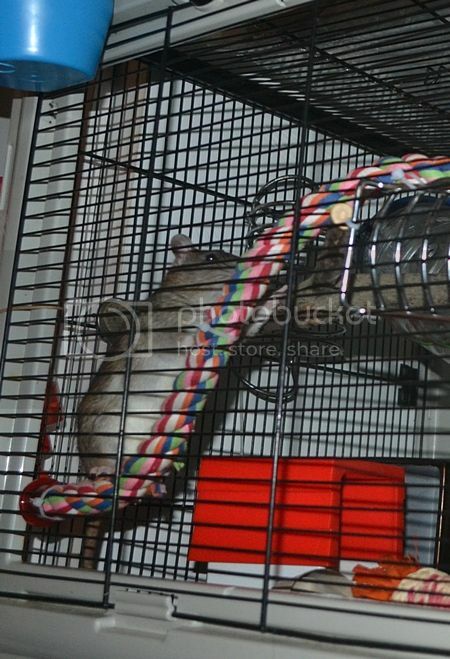 They love the climbing bits on the front, and Jeffrey in particular loves jumping on and off the hanging cage frame as it swings!! 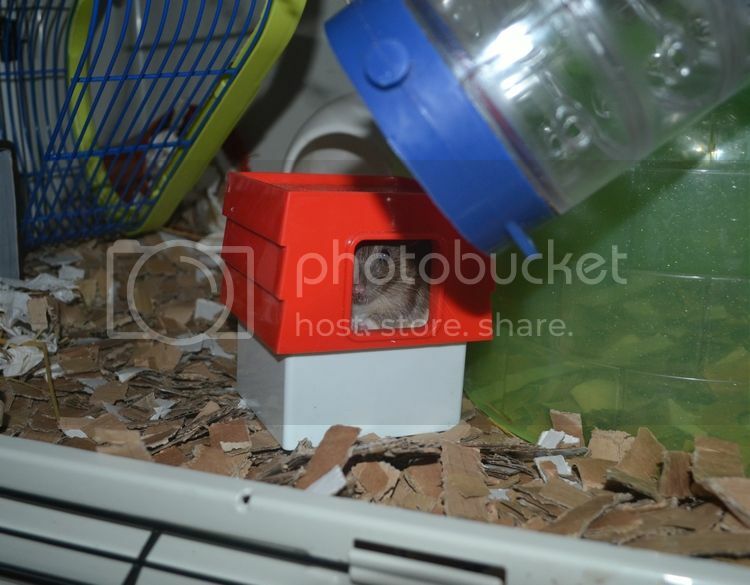 They seem to be very happy with the cage, Red. Lynn they love it, especially with the added toys! Thanks NN, they're doing great! A few days ago something amazing happened - Donnie AND JEFFREY both took treats from my hand!! They are just too cute, Red. Fantastic - you should be proud, Red! And here's a video where you can see his fantastic jumping! OMG..Seth is soooooo cute. 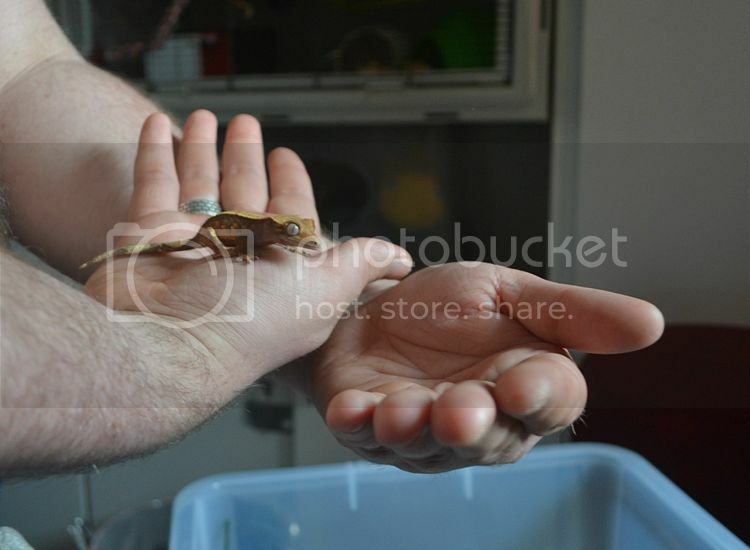 ENVY..I hate snakes, but I love, love, love lizards. Have you ever had a lizard, Lynn? 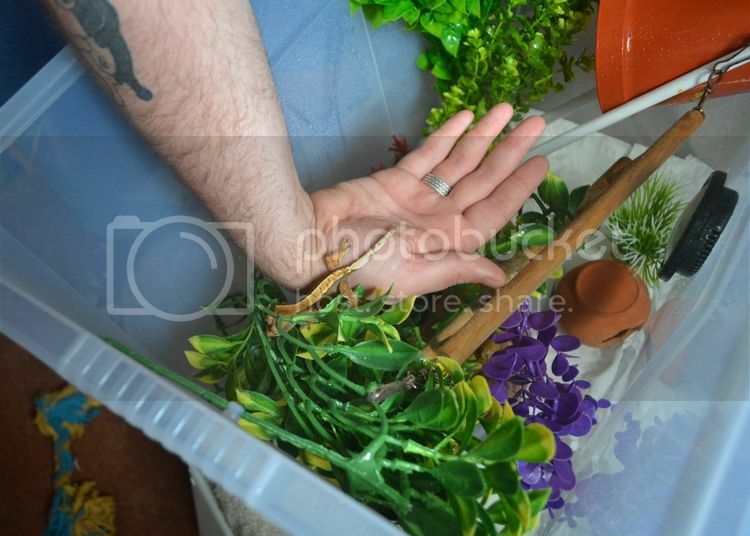 We've wanted one for over 5 years now, but assumed we'd get a Bearded Dragon...what with the 4ft viv, heat lamp, UV light, live food, and veggies it all seemed like a bit much and would need a lot of commitment, plus with our other pets we just don't have room...but Cresties are awesome because you get all the fun of handling (and imo they're way cuter than beardies!) and they don't need heat, UV or live feeding!! Seth is lovely! I never realised they were so easy to look after. I adore his colour and his eyes! 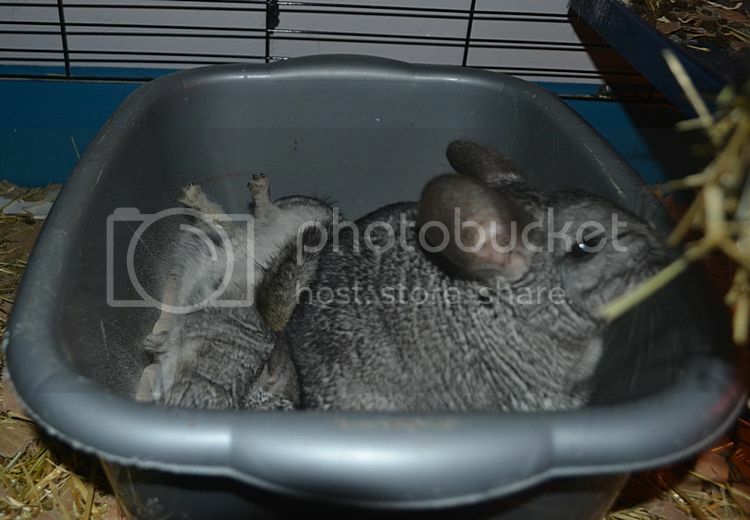 The chins look so happy in that dust bath!!! 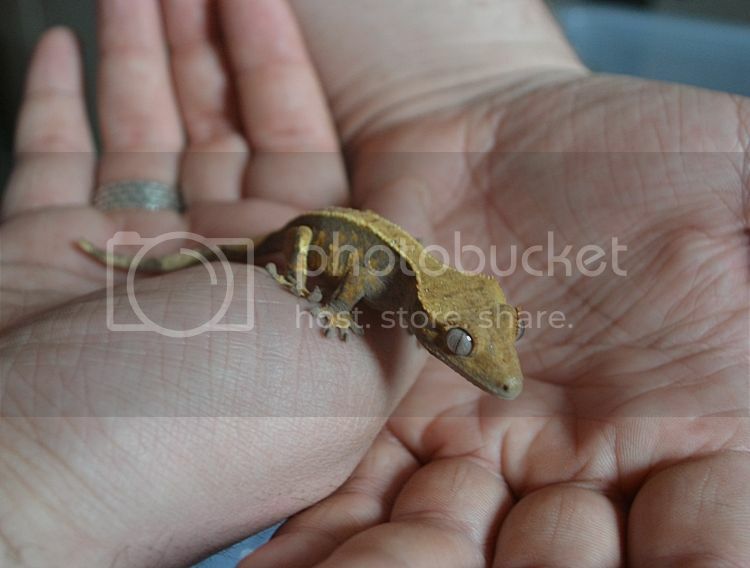 Cresties are fantastically easy to look after, and alongside their generally easy going temperament and ability to handle them, they rock! Red, I've had a lot of types of chameleons, but... 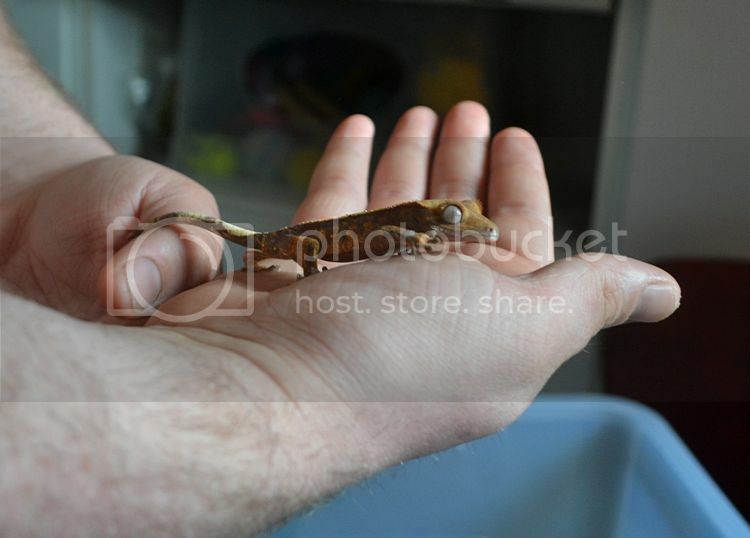 I've always wanted a Gecko. 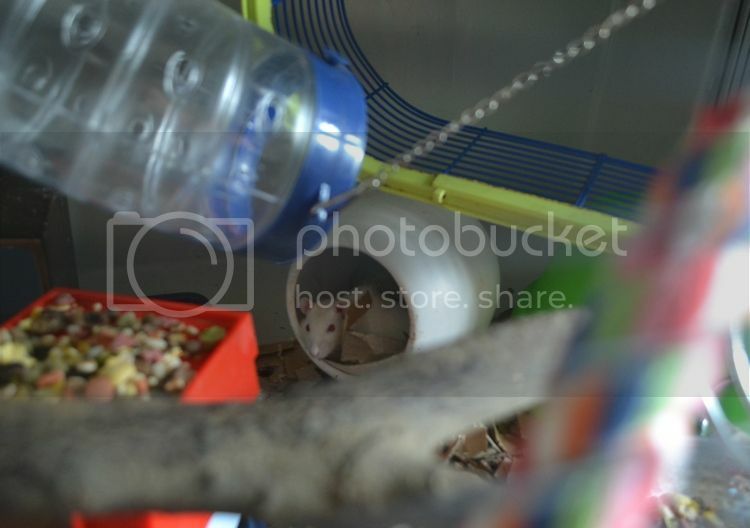 I love the picture of the dust bathing Chins..the upside down one is the cutest thing ever! How are chameleons to keep Lynn? Can you handle them? I know literally nothing about them, but the wildlife oasis and butterfly house has them. Apparently Caitlyn has been asking her dad for a snake! She won't be getting one here though - the cats are enough to look after, and she's only here 2 days a week so wouldn't benefit from the experience. Her mom has no idea about commitment to a pet either - in the 9 years I've known her she's had a rat (which I had to take on), 2 cats (I had to find a home for them when she didn't want them any more), 2 dogs (not at the same time - both given away), and another cat which Caitlyn says her mom made her ex have when they moved house last week. She seems like that about most things unfortunately. Snakes are something I know nothing about, however, if I didn't have the cats I would consider it for her. 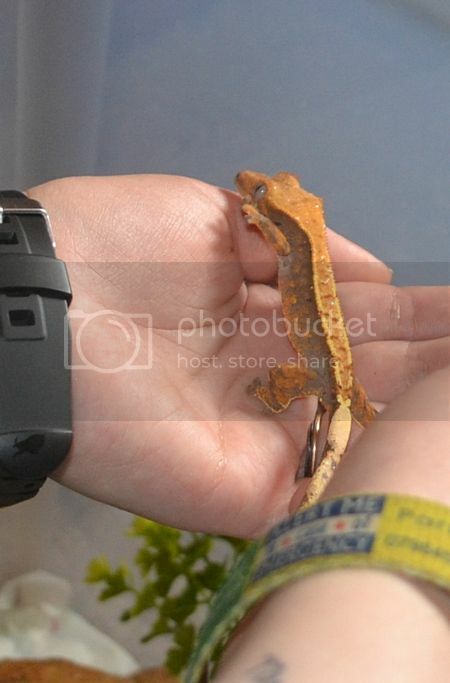 Or rather I'd persuade her to have a gecko first - it looks like a nice easy pet for kids (and me!!) If ever my son moves out I'll make him get her one! Red, I think chameleons are harder to take care of, I didn't have much luck keeping them alive and I did everything by the book for them. As this is a training thread, here's my progress clicker training Enzo the kitten! A kitten? I didn't know there was a kitten??? Your new little kitten is sooooooo cute, Red!!! !